• ​The direct meaning of the word Zakah is ​​'purification'. Our possessions purified by paying Zakat. • Zakaah does not only purify the property of the contributor, it also purifies his/her heart from selfishness and greed for wealth​. •​ Zakat helps to demolish the poverty from Muslim society and helps to develop the society. 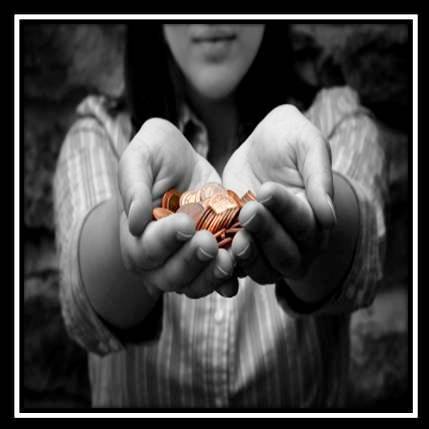 ​♣ What are the benefits for giving Zakat? ♣ ​​​What are the punishments for those who not pay ​​​Zakah? ​2. Zakaah is Fardh on the cash, equal to the value of nisaab of silver. 1. Zakaah is not Fardh on any other metal besides gold and silver. There is no Zakaah on diamonds, pearls and other precious or semi precious stones which are of personal use. ​​But if those are kept for business purposes, then Zakat has to be paid. ​​Zakaah is payable on the gold or silver used in making jewelery with diamonds, pearls, etc. There is no Zakaah on imitation jewelery. ​2. Zakaah is not Fardh on fixtures and fittings of a shop, motor car, truck or any delivery vehicle etc., which is used in running of a business. ​3. There is no Zakaah on any number of houses, living quarters, household furniture, crockery, personal clothing, whether they are in use or not. However, if they are used as merchandise for business, then Zakat has to be paid for them. Zakat has to be paid at the rate of 2.5%​ of each wealth. ​There are eight types of people only Zakat can be given. ​​However,​ before Ramadan comes, the wealth can be stolen or lost due to any reasons. So she will not be able to fulfill her obligatory. On the other hand, if before reaches one year of your wealth, Ramadan arrives. Then Zakat can be given in the Ramadan ​​​​in advance even the wealth did not reach one year old. No, we cannot pay to mosque, since it is not a person, it is a building. Zakat cannot be paid for building or building construction. Zakat cannot be paid to Madarasa as it is paying to building or Madarasa construction. But it can be paid to madarasa ​staffs or students who are in needy. Zakat has to be paid for the loans that we gave to others, provided we are confident that it is recoverable. For the bad debts (loans expected to be irrecoverable) ​​​no need to pay Zakat. ♣ Do we need to ​​pay Zakat for the advance money that we gave to house owner or landlord?